WOW!!! 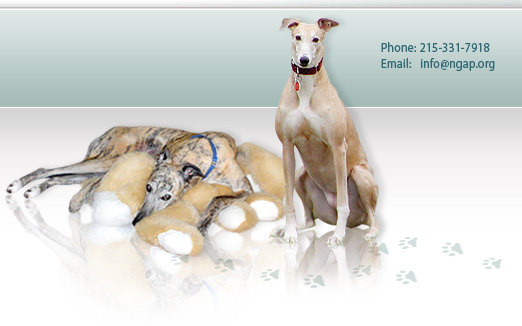 We have a really greyt raffle prize this time around - an iPad 2! 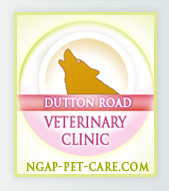 Tickets are now available at the NGAP Office, Kennel and Clinic as well as by clicking the link above! This is a really neat prize worth $500.00. We expect to sell approximately 500 tickets, so the odds are fantastic! It's a very neat prize that anyone can use. The drawing will be held at the Annual South Jersey Picnic (DTBA) or from our office around the same period of time. This is a win-win situation! 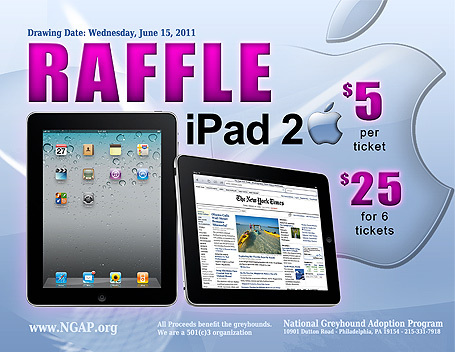 If your name is drawn, you win an iPad 2, but everyone wins when they support NGAP and the good work that we do! Anyone that feels that they can sell some to family, friends or co-workers, please let us know via email or phone and we will send tickets out! DRAWING TO BE HELD ON OR AROUND JUNE 15, 2011! 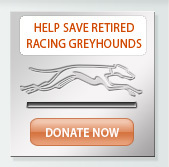 SUBMIT YOUR TICKETS BY PHONE WITH CREDIT CARD PAYMENT OR MAIL ENTRIES TO OUR OFFICE!